Sitara Hotel is a hotel that guarantees you a memorable time while your trip to Zirakpur. The lively reception gives you a warm and hearty welcome. 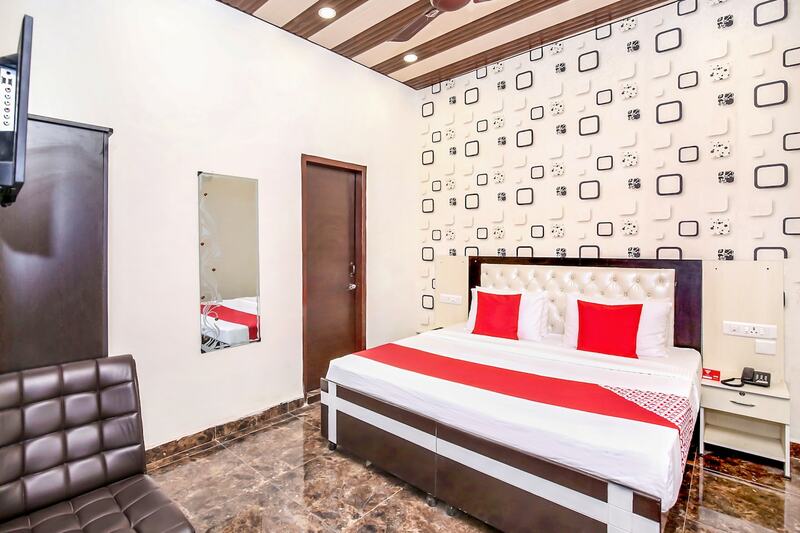 The rooms have vibrant and high-spirited interior designing with modernistic patterned wallpapers, dual toned ceiling, patterned furniture, and bright cushions. The rooms are fully furnished with amenities that are sufficient for having a stay which is as comfortable as possible. In addition to this, the rooms are luminous and absolutely clean. The hotel is equipped with facilities like free Wi-Fi that allows you to enjoy high speed internet at no additional cost, parking facility for the safety of your vehicles, seating area, and CCTV cameras that provides you a safe stay.